A Newsteo sensor network can communicate with the receiver wired to a programmable logic controller (PLC). This gathers measurements from wireless loggers. 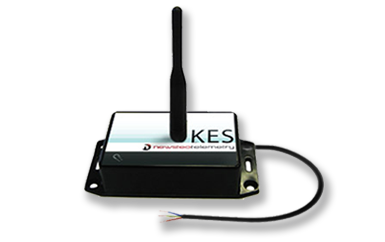 Wireless loggers keep their standard functioning (periodically wake up and send measurements, alerts if sensor output values are beyond thresholds, and status information). These pieces of information are held in the internal registers and can be queried at any time by the PLC. It is not necessary to bring the Newsteo radio protocol but only to integrate exchange tables. The receiver includes a SMA connector, allowing to screw any antenna in the Newsteo antenna range, depending on the whished radio range. Newsteo allows you to evaluate the finished product, ready for use. The RF-to-USB key and RF Monitor software can communicate via a PC with the Modbus receiver to set it. Price of the kit: 1 500 EUR excl. VAT, preparation and shipping costs in addition.